A lifetime of wear and tear can shorten and break one's teeth. 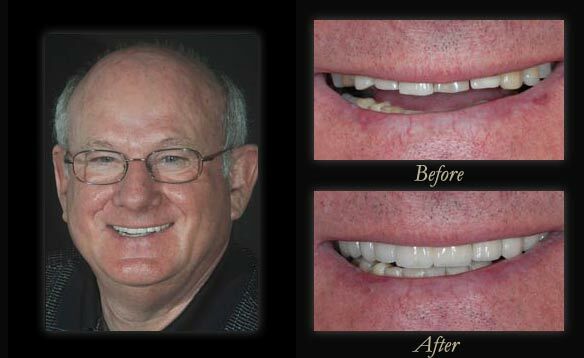 This Tallahassee gentleman’s teeth were so severely worn Dr. DeLopez had to place porcelain to gold crowns on all of his upper teeth to regain the proper bite and length. The lower teeth also required bleaching and some fillings. Now he has a comfortable, healthy, rejuvenated smile.